The first weekend I was home from the hospital after having Lillian, Chad brought home Indian take-out from a great restaurant nearby our apartment. I am not exaggerating when I say that it. was. AMAZING. 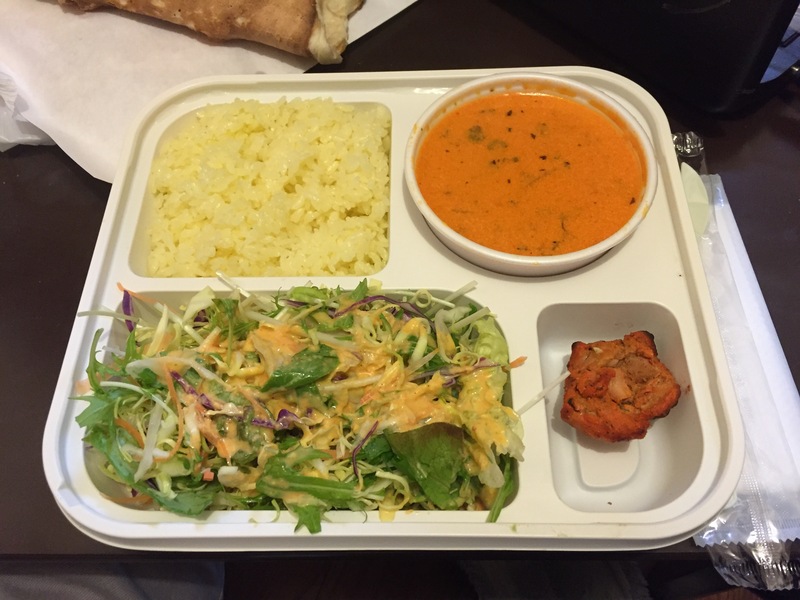 Everything from the mildly spicy tandoori chicken to the carrot dressing on the salad. But most of all, the butter chicken curry! To say the least, a lunch set from that restaurant will definitely be something to pine for upon our return to Michigan. On the bright side, the unavailability of the meal in the near future inspired me to take a shot at number 5 on the 57 things list: Order take-out when necessary—then try to make your order from scratch, at home, the next week. 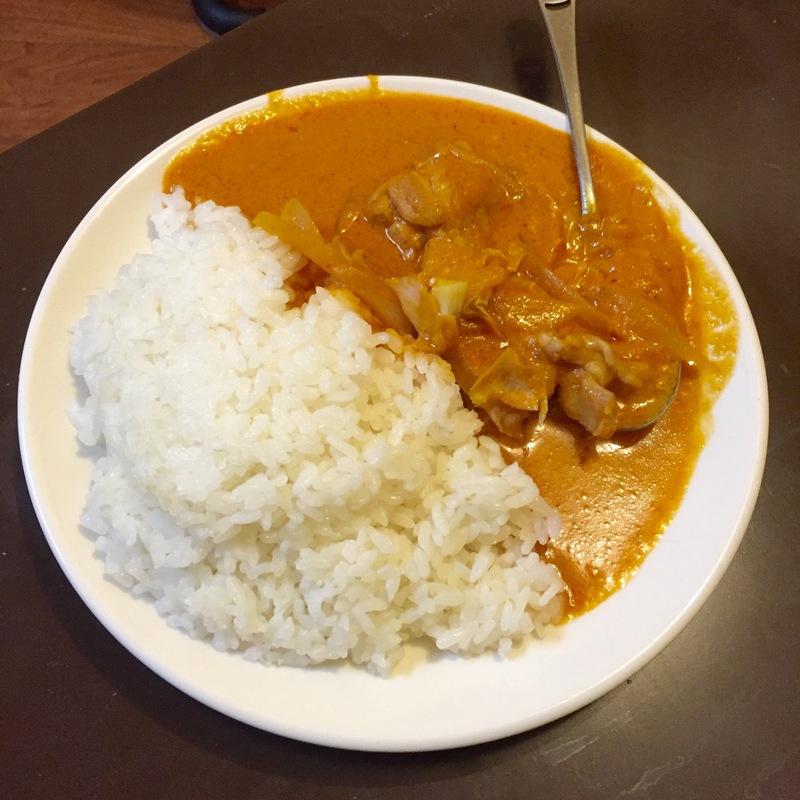 I actually tried a couple recipes for butter chicken, but couldn’t quite get the full body the take-out curry had. After pulling from a few different recipes and adding some of my own ideas, however, I came up with a pretty darned good butter chicken that will do the trick. I think next time I might try adding sautéed shredded carrots to bring a little more thickness to the curry–what do you think? Add all marinade ingredients to a blender and purée until desired smoothness. Pour over chicken in a separate bowl and let sit for at least 20 minutes. Meanwhile, sauté your onion in 1 Tbs of butter until transparent. Add the chicken and the marinade and cook until the chicken no longer looks pink on the edges. Add the remaining ingredients and pour into a crockpot to cook on high for 1 1/2 hours, or on low for 3 hours. Serve with rice and/or nan. This post is part of the 57 Things Series. You can read the original post here. Next Post Excuse the mess! Yum!!!! 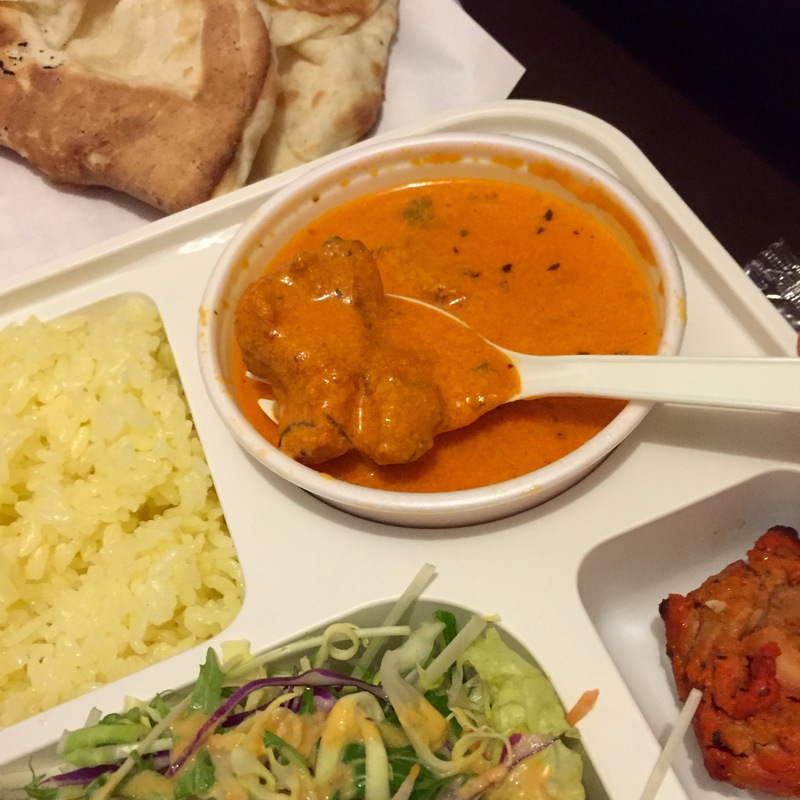 Butter chicken is my favorite. Definitely going to make this!! Thanks for sharing.